Once we’ve sold out of this item, there will be no restocking, so get one while you can! 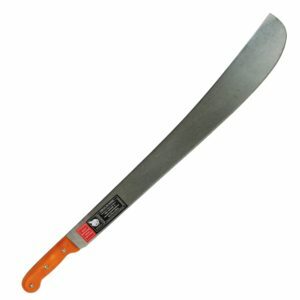 The back of the Sabretooth Machete features super sharp teeth on the spine of the machete for sawing through thicker branches or notching wood. 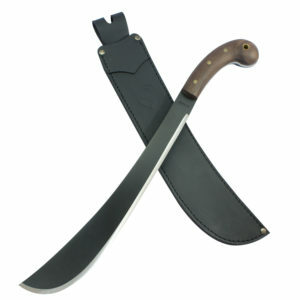 The blade is heat treated and annealed to approximately 53 Rockwell Hardness. The Edges are hand-finished and polished to razor sharpness.